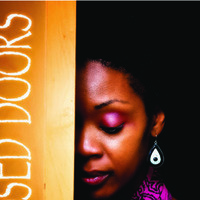 Behind Closed Doors is an original play written and performed by survivors of domestic violence. Mentored by Trinity Repertory Company artists, Michael Williams and Francesca Montanile, fifteen SOAR members have created this inspiring performance based on their own experiences with domestic violence, hope and survival. Behind Closed Doors will be performed at Trinity Repertory Company's Dowling Theatre on December 10. This is an unforgettable and unique opportunity to dispel the stigmas of domestic violence. Find answers to your most puzzling questions: What does an abusive relationship look like? Why does abuse happen? What are the barriers to leaving? How can I make a difference? We hope for Behind Closed Doors to enlighten and move you, but most importantly, to inspire you to create change. Together, we can end domestic violence. Tickets are on sale at the Memorial Union Box Office and will be available at the door of the event.